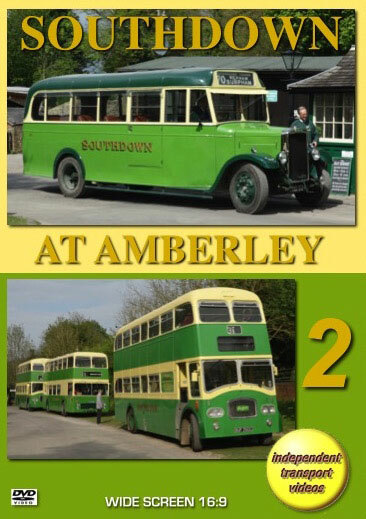 The independent transport videos cameras have returned to the excellent Amberley Museum & Heritage Centre in West Sussex for a second time. Our previous visit was in 2015 to celebrate the 100th anniversary of the formation of Southdown. This time it was to attend the ‘Amberley Bus Riders Day’ event that took place on Sunday 23rd April 2017. The Museum is set in a disused chalk pit and has developed over the years to create a bygone era, with buildings, long lost crafts, a small railway, a fire station, country garage and of course a Southdown bus garage from the 1930s. All this gives a lovely backdrop to our film as we see the buses running in service just as they would have done in days gone by. Apart from the many locations chosen for our film around the museum grounds we take some rides on the buses to get even more atmosphere and to see how bus design has changed and developed over the years. The bus rides were taken on 873 (UF 6473) a 1930 Leyland TD1 with a Leyland 48 seat body and 1205 (UF 6805) a 1930 Tilling-Stevens single-decker with a Short Bros. body seating 31. The oldest bus in service on the day was IB 552 a Tilling-Stevens Petrol/Electric TS3 with a Newman body dating back to 1914. This bus was one taken over from Worthing Motor Services at the formation of Southdown in 1915. Our final ride of the day was on 481 (TCD 481J) a 1970 Bristol RESL6L, with a Marshall B45F body that contrasts greatly after our previous ride! We hope that you enjoy your return journey back to this superb Museum where you can relive the days gone by of Southdown buses running through the green fields and roads of West Sussex.